In all relationships there will be times when disagreements occur. If you have kids, it can seem like you’re constantly butting heads. When this list of pointers landed in my inbox from Jacqueline Whitmore, etiquette expert, author and founder of The Protocol School of Palm Beach, I was having a particularly challenging span of months with my 3-year-old. So instead of reading this through the lens of marriage and romantic relationship advice, I read it through the lens of parent/child interactions without even really thinking about it. Turns out that these pointers are just good advice no matter who you’re dealing with, whether it’s the sandbox set giving you a hard time or you’re finding that you and your spouse are picking fights because you’re numb with parental exhaustion. 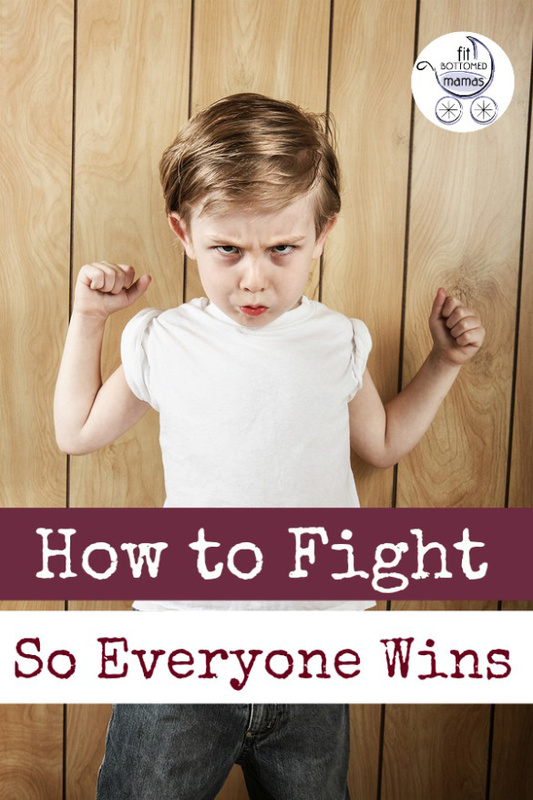 Read on for Jacqueline’s tips on how to pick your battles — and how to “fight” so that everyone comes out a winner. 1. Only fight about issues that are truly important. Evaluate the consequences of an argument. Consider a few simple questions: “Is this worth addressing?” And, “Will I care about this tomorrow?” Don’t argue for the sake of arguing. 3. Pause for the cause. Review your motivation. Ask yourself: is this really the problem or is something else bothering me? If you’re stressed about work or finances, you may be more irritable than usual. 12. Preempt the problem. A little prevention goes a long way. Address the situation as soon as you see an issue arise. Be proactive in your approach. Some arguments are simply a difference in perspective. 15. Seek help when necessary. Some issues seem to large to solve. When you can’t reach an agreement and you want to keep your relationship intact, seek professional advice. Sometimes a counselor or mediator can shed light on the situation and keep your love alive. Isn’t it true that most of these tips apply to kiddos, too? From staying calm (so hard in the moment) to doing the best to prevent known triggers, there’s a lot of good insight.